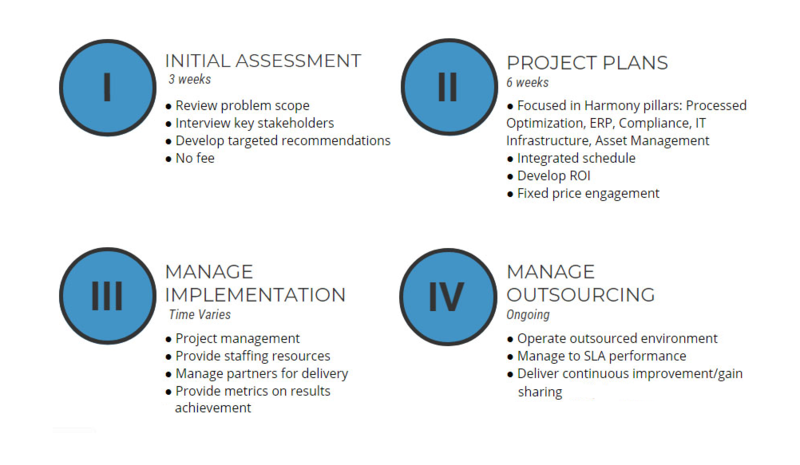 Harmony Technology Services delivers a wide range of IT solutions to you with one goal in mind: optimized infrastructure for maximized profitability. Agile, flexible and responsive, Harmony Technology Services represents the coming together of practical experience, technological vision, financial acumen and personal accountability. Our teams of engineers and project managers bring creative, cutting-edge problem solving – and a world of experience – to your business challenges. In addition to all of our strengths and industry experience, Harmony Technology Services offers our clients expanded contract bidding opportunities as a certified woman-owned small company. Our principals have Fortune 100 C-level experience, having led both internal IT operations and outsourcing programs in the private and public sectors. We bring creative, cutting-edge problem solving to your business challenges and team effectively at all levels of your organization – from the executive suite to business process owners and subject matter experts. Our proven four-phase process is customized for your business needs and objectives, using holistic solutions rather than siloed services.